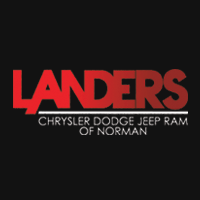 Landers Chrysler Dodge Jeep Ram of Norman near Moore, Oklahoma has a great selection of 2018 Ram 1500s. The 2018 Ram 1500 is one mighty truck, built to deliver, haul, tow and carry anything you may need. Optimized for any kind of terrain, the 2018 Ram 1500 is a powerful, impressive and immaculate piece of modern machinery. Follow along to find out more about this epic truck and why you should take one hoame today. Click here to see our current inventory of Ram 1500s! Design: When thinking of your new 2018 Ram 1500, your choice of cab is very important. Choose the Crew Cab, and you’ll have generous passenger space and your choice of a 5’7” or a 6’4” pickup bed. The Quad Cab comes with the 6’4” length pickup bed, and plenty of space for all of your passengers. Or, choose the Regular Cab to satisfy your hauling needs and receive up to 8’ of pickup bed length! So much space! Technology: Tech may not be the first thing you think of when you think of the 2018 Ram 1500, but trust us, this truck is not messing around. Featuring an 8.4” touchscreen, the 2018 Ram 1500 supports 4G LTE, HD Radio, Apple CarPlay, Android Auto and more! With Remote Vehicle Start, your keys don’t even have to be in the ignition for the truck to come to life. How cool is that? Performance: Ram is synonymous with ultimate performance, and the 2018 Ram 1500 leaves nothing behind. With max speeds up to 395 horsepower and a 10,000 pound-plus towing capability, you can always depend on the 2018 Ram 1500 to get the job done. Stopping on an incline? Not a problem. The Hill Start Assist detects when you’re on a hill and maintains brake pressure as you shift from the brake to the gas pedal. That’s reliability. 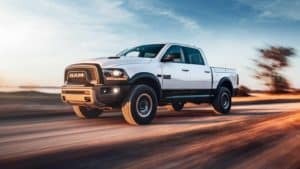 The best place to get behind the wheel of a 2018 Ram 1500 is Landers Chrysler Dodge Jeep Ram in Norman, Oklahoma. Come on by today, we’ll help ya out!